EB5 is an investor visa to USA. It enables investors to immigrate to the U.S. It is administered by the US Citizenship and Immigration Services. Around 10,000 Green Cards yearly. Most of them come from South Korea, India, Vietnam, and China. The program benefits not just the country’s economy but also the foreign investors. Through thus program, the U.S economy is able to generate money, create employment, and boost local economy. It gives the foreign investor the opportunity to move to the U.S to study, work or to be together with family already in the USA. What is EB 5 Visa? 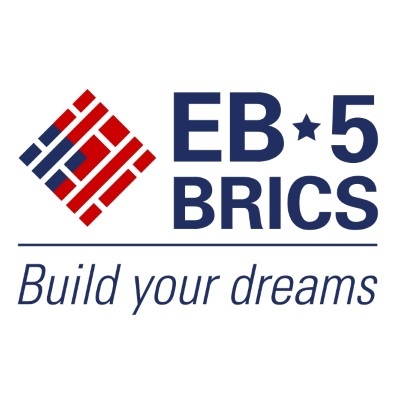 Created in 1990, the EB-5 is a program which allows foreign investors to create business investments that can enable them to immigrate to the U.S. Administered by the US Citizenship and Immigration Services, it offers around 10,000 Green Cards yearly to immigrant investors, with most of them coming from South Korea, India, Vietnam, and China. The program was created with the vision of creating a situation that will benefit not just the country’s economy but foreign investors as well. And true enough, through the program, the U.S economy is able to generate money, create employment, and boost local economies while giving foreign investors the opportunity to move to the U.S to work, study or get together with family. EB-5 investments, particularly direct ones, need about $1,000,000. EB-5 regional center investments, on the other hand, typically require $500,000. Every investor aiming to be successful with his EB-5 application needs to create 10 full-time jobs at the minimum. If you choose Direct Investment, it will be your responsibility and obligation to create and maintain those jobs until you’re able to get your hands on your permanent Green Card. In case you choose to create a Regional Center Investment, then it’ll be the Center and the developer’s obligation to create the jobs. Take note that the said option will require developers to prove that the jobs were really created through the $500,000 investment. You will receive the related documents from the Regional Centers and developers during the filing of the I-829 Removal of Conditions Application. An applicant can also preserve 10 full-time jobs when he makes an investment into an existing business. This, for example, can happen if an applicant decides to invest in a business that’s on the brink of closing or experiencing losses which can result in employees losing their jobs. As an applicant, you have two choices. The first one is the Direct Investment where you invest in a new business, creating 10 full-time jobs in the process. This can be any type of business as long as you're able to create that many jobs for U.S citizens. The amount you need to investment will depend on a Targeted Employment Area. This area can either be a rural area or one that has an unemployment rate of about 150%. If your business will be located near a TEA, then the amount you'll invest can be reduced to $500,000. If not, then you may need to invest as much as $1,000,000. For example, if you are thinking of opening up a retail shop, the first thing you have to think about is its ability to create and sustain 10 full-time jobs. Most retail start-ups are only able to maintain about 5 full-time jobs. If that is the case, you have the option to open up businesses in multiple locations so you can create the required 10 jobs. This can potentially allow you to get an EB-5 green card. Your next option is the Regional Center Investment. A Regional Center acts as a private company that manages or sponsored EB-5 projects. It’s created to promote economic growth, capital investments as well as job creation for the benefit of the U.S economy. EB-5 Regional Center is also involved in pooling capital to support commercial, residential, infrastructure or manufacturing projects. In order to qualify as a Regional Center, you need to apply to the USCIS for approval. You need to be able to show how your business aspires to focus on one region in the country and how it can promote economic growth. Your business needs to be able to present concrete business plans, reports and models which can show how you’re planning on improving the region’s economy and open opportunities. The total number of approved Regional Centers were around 865 from the last count. Those centers likely have around 500 active and existing projects. Among those projects and for future ones that will be approved, there are minimal chances that they’ll be the same as each project comes with its own risks. The risks can be classified as low, medium, and high. The way investors classify them involves a lot of factors. A lot of the Regional Center projects carry low to zero return on investments. This simply means that they can general 0.5% to 1% return on investments. This, however, doesn’t mean that the returns are limited to that range. In fact, there are returns that reached 5 to 6%. In determining risks, keep in mind that a project with a high return entails high risks. Also, projects that have low returns don’t always mean that they are low-risk. Because of this, it’s important for an investor to seek professional help, whether it’s legal, financial or business-related, before coming up with a decision regarding Regional Center Investments. Before making the investment, the investor needs to take advice from an investment advisor first as he’ll be putting as much as $500,000 to $1,000,000 at risk for the 5 to 6 years to come. In addition to that, the investor also needs to consider getting help from an immigration lawyer to assist with the immigration and legal side of the process. A financial person, on the other hand, can help create the best investment decisions after considering factors related to immigration, regulations, and finances. Another thing to consider is the Regional Center team and track record. It’s a good way to determine the number of projects done, the number of approvals received as well as the projects overseen that actually returned capital. Those factors aren’t the only ones that need close assessment prior to choosing which Regional Center Investment to invest $500,000 into because the center isn’t the one returning the investment. It’s actually the developer and borrower of the money that will be signing a loan agreement and expressing the return they’ll make in the 5 to 6 years. This simply means that while looking at the Regional Center track record is great, the investor should also take a close look at the developer or the borrower to see its capability to return the capital. It’s also a good way to assess the kinds of projects the borrower was able to complete in the past as well as its success rates with projects done through the EB-5 program. Because an investor will also be a lender in a project, the position of the EB-5 investor should also be determined. In a $100 million project, for example, $20 million was given by the developer, $30 million was accumulated through investors and its $50 million came from the bank. This means that the bank will have the first position and the first right to foreclose the project in the event that something goes wrong with it. Take note that it will still depend on the loan terms as well as the presence of any collateral. The second right will be given to the EB-5 investors. Unless there’s something left over, they won’t receive anything. Consider doing a financial analysis to determine the financial viability of a project. If you’re clueless, ask your financial professional to teach you the different types of financial investments they’ve successfully completed as well as the risks they were able to overcome in the process. In the United States, you’ll come across two agencies that are responsible for regulating and overseeing capital raising. Those two are the Securities and Exchange Commission and the Financial Industry Regulatory Authority. Those two agencies are closely responsible for the EB-5 program which is why they are very strict in making Regional Centers compliant with the laws. They need to make sure that no center is operating in the grey areas of the law as that can be risky and damaging to the Regional Centers. With that, they are involving securities broker-dealers in the country to raise the needed capital for that. Another factor that should be closely assessed is the relationship of the Regional Center with the developer. Since there’s a continuous rise in the number of developers aiming to become a Regional Center, good developers and not so good developers increase in number, too. Although it doesn’t create a lot of problems and that there are a lot of investors comfortable with that, it shouldn’t make you feel at ease. You need to make sure to check that relationship before pushing the application. Finally, an investor shouldn’t forget about the project’s Job Creation model. It must be closely studied as it’s the way for the investor to secure a Green Card. Pre-approval projects are abundant in the market. They are those projects with documents, business plans, and economist reports submitted even before the investor is able to file their I-526 on the project and the USCIS’ approval. With pre-approval projects, the US government can be sure that the required jobs will be created after an investment has been made in an area and a certain amount of money has been spent on the necessary activities. They aren’t about endorsing projects. With a loan model, an investor will be putting $500,000 at risk in the coming 5 to 6 years after picking a Regional Center Investment. This often creates a lot of confusion as to what an at-risk investment really is. Basically, any investment entails a risk of loss or gain. Investing in an at-risk business doesn’t mean that it’ll be purely at risk, unless that’s how it’s planned and designed. There are tons of projects in the market that were able to achieve a higher return because they were designed with a high risk. The strategy will depend on the investor because he’ll be the one to determine the risk he’s will to take. Take note that investments need to be “At-Risk” as stated in the law. Any investor who claims that their EB-5 investment doesn’t come with any risk or that the possible risks have been eliminated doesn’t have a clear understanding of the facts. An EB-5 investment always needs to be an “At-Risk” investment for it to qualify for the program. For an EB-5 US investment visa application to be successful, it needs to be handled by experienced professionals who know a lot about the law, finances, and investments since there are a lot of factors and stages that you need to understand when applying for the program. In general, EB-5 has two sides. It includes the investment side as well as the immigration side. For you to be successful in your application, you need to make sure that those two sides go well together. Once you have successfully covered both sides, you can submit an I-526 Immigrant Petition by Alien Entrepreneur. You have the option to fund your application with your own money but you can also fund it with a loan or even gift funds. If you choose to use a loan, make sure that it’s a secure loan. For gift funds, it can be a gift from a parent whose son or daughter is in the home country attending college or graduating soon from school. They can also be possessing a temporary work visa just like the Optional Practical Training or H-1B and they show no interest in going back to their home country. In general, the average processing time for an I-526 application can go anywhere between 16 to 18 months. After getting approved, the investor has the option to adjust the status and get a conditional green card if they are physically and legally present in the country. He can also go through consular processing in his home country and get his conditional Green Card once he arrives in the US. There’s really no difference between a conditional Green Card and a permanent Green Card. Both give the same rights and privileges to an investor, just like the rights and privileges of a US citizen. An immigrant can transfer and work in any place in the country and go to his home country visa-free. His family, on the other hand, can be given the privilege of attending school, starting a business, and settling down in the US. A temporary green card, on the other hand, is a bit different in that its validity is only 2 years. After such time, the investor needs to get and present documents showing that he was able to create the required 10 full-time jobs. The investor’s lawyer needs to file an I-829 Petition by Entrepreneur to Remove Conditions on Permanent Resident Status. Once the petition is approved, the investor and his family will be able to get their permanent green cards. The process can take anywhere between 18 to 20 months. Take note that while the petition is ongoing, the investor’s conditional green card status will be extended and will have no effect on his legal status in the country. If you are a non-Chinese investor, you can expect the processing time for the I-526 application to the time you receive your I-829 green card to last for 5 to 6 years. You won’t be able to apply for the I-526 unless you’ve made your EB-5 investment, particularly if you chose to go through the Regional Center approach. The center will only issue the packet after the investment has been made. To receive your permanent green card, you need to wait for 1 to 2 years before you can get your money back. After receiving and maintaining the green card for 5 years, an EB-5 investor, as well as his family, can qualify to become U.S citizens. If you are planning on living and working in your home country and the U.S while you have your green card status, make sure to carefully lay out a plan with your immigration lawyer. There are certain requirements about being physically present in the US that you need to meet before you can become a permanent resident. After an investor is able to secure his permanent green card status, he can get back his capital, given that the loan has already been paid by its borrower. This will depend on your Regional Center’s exit strategy. Each center has one and it can be either of the two strategies they typically implement. The first option is to sell the whole project. Whatever they get from that, they can use the amount to pay off the loan, provided that the sale goes over the loan amount. A project was started with $100 million. After 5 to 6 years, its value reached $125 million. When sold, there will be enough money to pay back the investors and other lenders. The next option involves refinancing. For the same example, $20 million came from the developer, $30 million came from different investors, and $50 million came from the bank. After 5 to 6 years, the project now costs $125 million. That will make it easier for you to get another loan to pay off the bank or the actual EB-5 loan. These are the most common exit strategies you’ll encounter. There are a lot more factors to consider but those are the main points you need to keep in mind when doing the transactions. Remember that there are a lot of variables which means you need to be flexible. There are a lot of factors that can affect the process, like the condition of the market as well as the economy. For a more direct route to getting a permanent residency in the U.S, an investor and his family can consider taking an EB-5 Investor Program. Through it, an investor can live, work, and retire in any place in the country. His children can attend college at the same cost of a U.S. resident. There’s also the privilege of being able to travel to and from the United States even without a visa. After 5 years of permanent residency and the investor is able to meet the necessary requirements and conditions, he can apply for a U.S. citizenship. To take advantage of the Investor Visa Program, an investor needs to invest $500,000 in a Regional Center to settle the immigration aspect. To earn money, he can start additional businesses or get funds from other sources. Once you are a green card holder, you can choose to apply for a job, be self-employed or start a business. There’s no pressure to create and maintain jobs for other people since this isn’t related to EB-5 applications. After everything is settled and the investor is able to earn a green card and be a citizen, he has the option to sponsor extended family members. The process can take about 10 to 15 years, depending on the availability of visa. It’s a bit faster for parents which can be brought to the U.S with green card status in just 6 months to 1 year. We are one and only eb 5 visa consultants in India with teams both in India and the US. We sit with you to go over in details how the investment visa usa works. We present to you what options for investments you have - our projects a diversified based on our risk tolerance and gain projections. We help you every step of the way from figuring out where the money should come from and how to transfer it as per the RBI Reserve bank of India rules. ​Contact Us to find out about our one-on-one Information Events throughout India - Delhi, Mumbai, Pune, Bangalore, Chennai, Hyderabad, Chandigarh & Ahmedabad.